Today.Az - Year of Earth Pig. What stars hold for you? Some people truly believe that Chinese horoscope can predict the future. The Chinese Zodiac is based on a twelve-year cycle. Each year in that cycle is related to an animal sign. There are 12 Chinese zodiac signs: Rat, Ox, Tiger, Rabbit, Dragon, Snake, Horse, Goat, Monkey, Rooster, Dog, and Pig. Your sign is based on the year in which you were born. The story of Chinese New Year is full of mystery. The centuries-old legend says that Jade Emperor wished to celebrate his birthday with a great race for all of his favorite animals. The first 12 animals to cross the finish line at the palace would become a symbol in the lunar calendar. 2019 is a Year of the Earth Pig, according to the Chinese horoscope calendar. The Pig occupies the twelfth position in the Chinese zodiac after the Dog. It is a lucky animal representing carefree fun, good fortune and wealth. The most successful 2019 year will be for water zodiac signs : Cancer, Scorpio and Pisces. Lets see what do the stars have in store for you next year. Next year promises interesting opportunities. 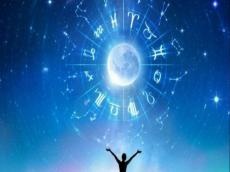 Astrologers predict successes in business and creativity. It is the best time to form a partnership or collaboration. For those who are in love, this year would prove to be a favorable one. The representatives of this sign will often be in the center of attention. Next year, Taurus should pay more attention to family. There is also a possibility of partnerships and success in business. Astrologists predict Taurus to be full of passion and emotions. In 2019, your biggest struggle to overcome will be your laziness. In general, Year of Earth Pig would be quite good for the representatives of this Zodiac. Next year Gemini should work with others to succeed. In addition, working with others makes for a great chance for showing off your skills. You will be full of both mental and physical energy in 2019. Year of Earth Pig is a time for working on your skills. Next year is very likely to bring radical changes into your love life. Astrologists predict a quiet and peaceful time for Cancer. Your artistic and creative skills will be stronger than ever before. The representatives of this zodiac sign have a chance to get to know a lot of extraordinary people. In 2019, the Cancer natives should leave their fears aside and confess their true feelings. You will be filled with confidence and enthusiasm. Next year, you will begin to get rid of disagreements and any other troubles that you have been struggling with. There is also a great probability of abroad travel for Leos. In 2019, Leo won’t face any major crisis. This year is going to bring a massive change into your love life. The year 2019 will be a very important year for the representatives of this zodiac sign. You will start the year with a lot of energy. Many activities will keep you busy the next year. Overall, 2019 will be a lucky one for you. The good news is that you will be highly motivated all through the year. Astrologists predict you career growth and financial success. Get ready for some big changes in your life. Next year won’t be all that hard for you. Astrologists predict for the Scorpio natives financial achievements. 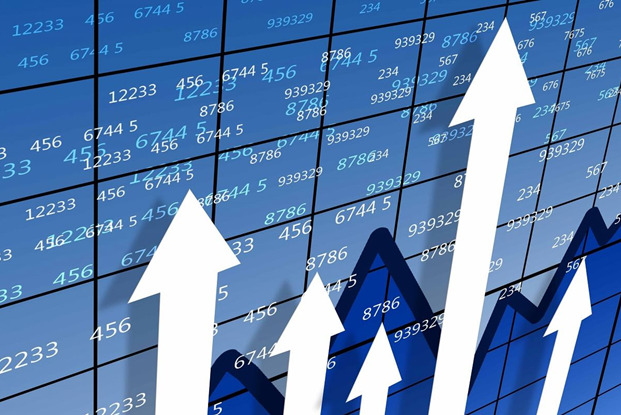 As for businessmen, they will find numerous other ways to increase your income. The representatives of this zodiac sign may meet the great love of their lives. The are also very good chances for you to indulge in traveling. Happiness and goodness shall encompass you. Astrologists also predict some radical changes in your love life. Moreover, there are possibilities of going abroad. New friends may enter your life. 2019 will bring you all the good things. New job, new collaborations, and achievements are waiting for you. It is time to work on your natural skills. For you, 2019 is a year of advancement and changes. This is also a great year to plan for the future. For single Aquarius natives, there are plenty of opportunities to find new love. Apart from this, you will achieve several milestones in your career. Next year will bring a lot of happiness and joy to you and your family. 2019 might be an excellent year to reconnect with lost friends. Get ready to fulfill your personal goals and ambitions. The beginning of 2019 will be quite optimistic period for Pisces. Self-control and patient will help you take advantage of the new perspectives.